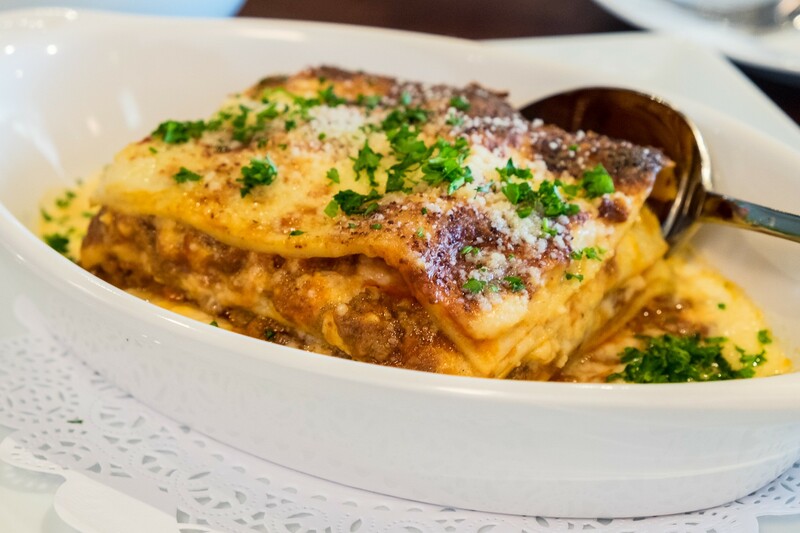 Lasagna lovers may find a new favorite at Mina Ristorante in River Oaks. Photo by Phaedra Cook. 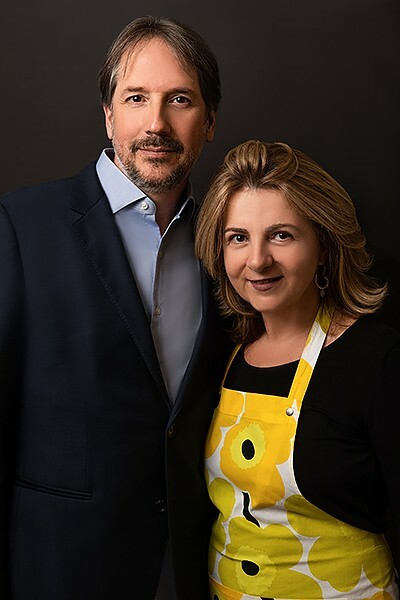 When husband-and-wife team chef Monica Fallone and Luis Mancera opened Borgo Food Station in River Oaks, they created a European-style, grab-and-go neighborhood hub for authentic Italian dishes. The patrons, though, didn’t necessarily want to take the food to-go. “Our loyal customers for three years were always requesting to enjoy their favorite meals there instead of taking them home,” said Mancera. “One said, ‘Your food is too good to be in plastic containers.’ We added a few tables and people kept demanding more,” said Mancera. Those customers are getting their wish as Borgo is now Mina Ristorante. It opened on Monday, May 8 at 3641 West Alabama. Fallone hails from the Piedmont region of Italy while Mancera is from Caracas, Venezuela, where his family is in the food business. Mina is named for the favorite pop singer of Fallone’s father, Anna Maria Mazzini “Mina,” a soprano known in the 1960s for her three-octave range. 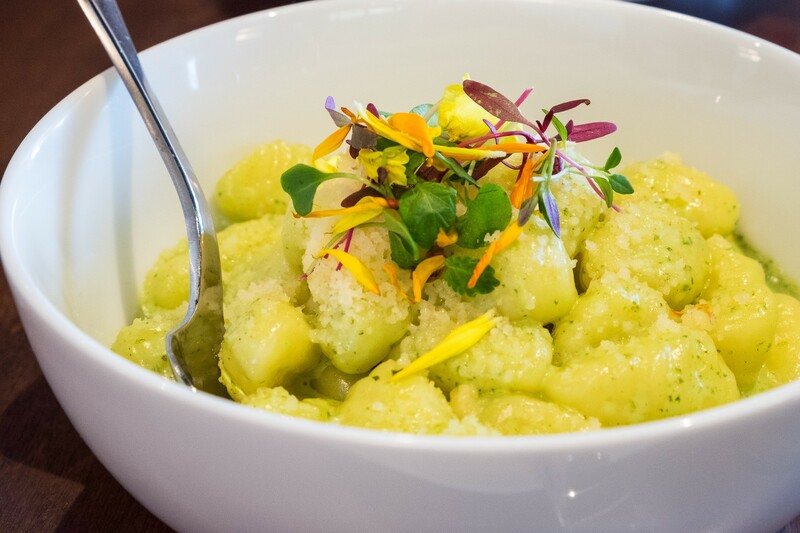 Housemade gnocchi with pesto, cream and sherry at Mina Ristorante. Photo by Phaedra Cook. Lunch is counter service-style and the midday menu includes Lasagna Bolognese, an unsurprisingly popular dish carried over from Borgo. Pastas are made in-house and some examples are the tortellini with surprisingly tender rounds of calamari and gnocchi made with pesto, cream, sherry and Lira Rossa Artisan Cheese’s Certosa, an Italian-style cheese made in Moulton, Texas. To celebrate the opening (and perhaps as a nod to its roots as Borgo), for lunch, Mina is running a to-go-only special called, “10 in 10.” These are 10 specials that can be ready in 10 minutes and, through May 8, the dishes are 10-percent off. Shrimp Parmigiana at Mina Ristorante. Photo by Phaedra Cook. Mina ups the formality a bit with table service and a hard-cover menu at night. 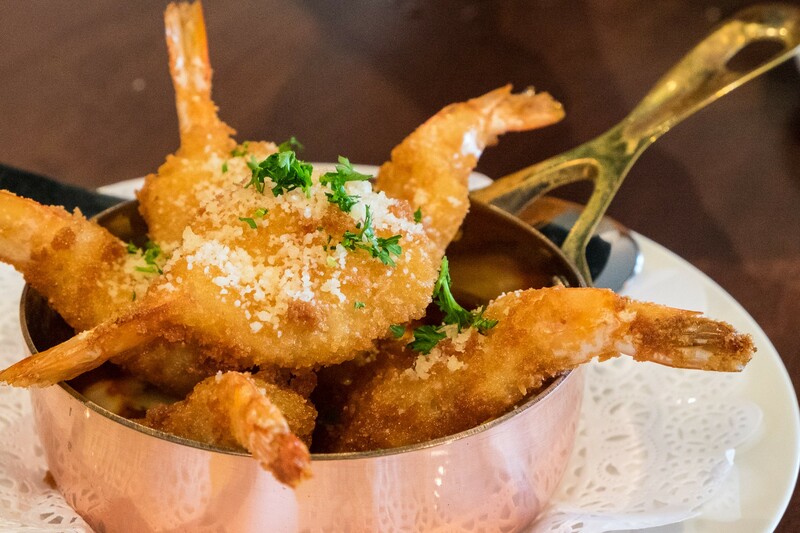 Some of the warm, light starters, or antipasti, include warm brie, Shrimp Parmigiana with housemade marinara and Puff Mushroom Crostata with sweet, caramelized shallots and goat cheese. Cool options include an antipasti platter, Burrata di Capri with baby tomatoes and gazpacho vinaigrette and gravlax, or house-cured salmon with stracciatella cheese, baby leafy greens and mustard served alongside. The more substantial entrées include grilled Columbian trout with toasted almonds, cranberries, roasted vegetables and Pinot-lemon broth, which Mancera says is another customer-favorite dish that was originally served at Borgo. Salmon steak is served with crunchy quinoa, baby vegetables and cauliflower sauce and Chicken Marsala boasts pan-seared scaloppini. The penne pasta with fresh Porcini mushrooms is made using a recipe from Fallone’s native Piedmont. Panna cotta topped with limoncello at Mina Ristorante. Photo by Phaedra Cook. Some of the desserts, while distinctly Italian in origin, have appropriate little twists to celebrate the warmer weather. 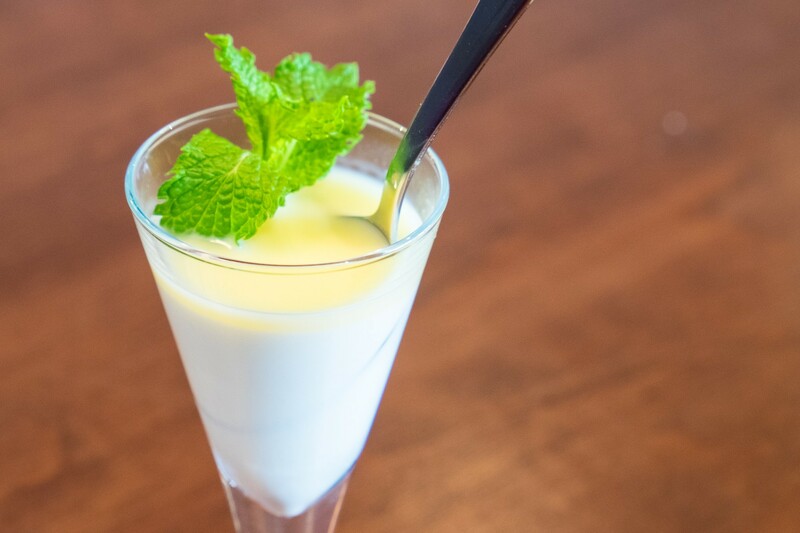 Panna cotta gains a dose of limoncello (a citrusy liqueur that’s practically mandatory after an Italian dinner) while the Napoleon is made with sunny Key limes. The Fior de Latte Affogato, though (gelato topped with espresso), is fiercely traditional. The gelato used in this dessert looks like vanilla ice cream, but don’t be fooled. It’s an unadulterated flavor that showcases the simple richness of sweet cream. 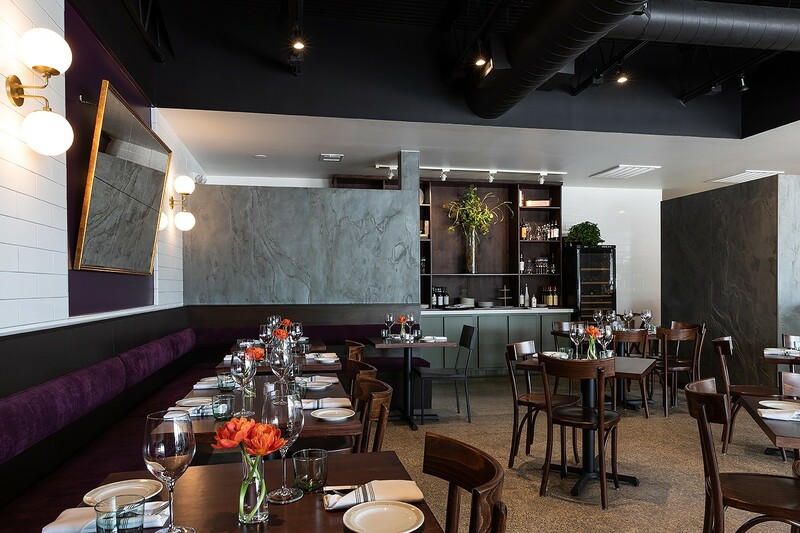 The graceful, newly redesigned space that now houses Mina Ristorante.Photo by Shawn Chippendale. Erin Hicks, whose previous interior work includes Helen Greek Food & Wine and El Big Bad, executed a graceful transformation of the 2,000-square-foot space, which benefits from a great deal of natural light thanks to a long swath of floor-to-ceiling windows. The features include “leathered stone countertops and forest slate accented dark walnut tabletops.” Simply describing the color scheme as “green and purple” would not properly evoke lengthy, richly toned eggplant-colored booth seating that runs the length of the far wall, or the muted, classy green-gray wall color that complements the purple perfectly. Like any Italian restaurant worth its salt, Mina has a wine list that includes sparkling, white and red. Diners can also purchase bottles to take home or try a few during the generously long happy hour, which is in the bar and patio area from 5 to 7 p.m.
Owners Luis Mancera and executive chef Monica Fallone of Mina Ristorante in Houston. Photo by Shawn Chippendale. Parking in Mina’s lot is very scarce but fortunately, there’s a second lot just across the street. Complimentary (gratuity only) valet parking is available during dinner. Mina’s hours are 11 a.m. to 2:30 p.m. and 5 to 9 p.m. Mondays through Thursdays, 11 a.m. to 2:30 p.m. and 5 to 10 p.m. on Fridays and Saturdays. Mina is closed on Sundays. Mancera says it was Houston’s diverse and ever-growing culinary scene enticed the couple into relocating and opening a business in the first place. “We thought that Houston, being a city with a lot of cultures and the third-largest in the U.S., could be interesting for us,” he said. Disclosure: for the purposes of this article, the writer tried some of the dishes mentioned as a guest of the restaurant.